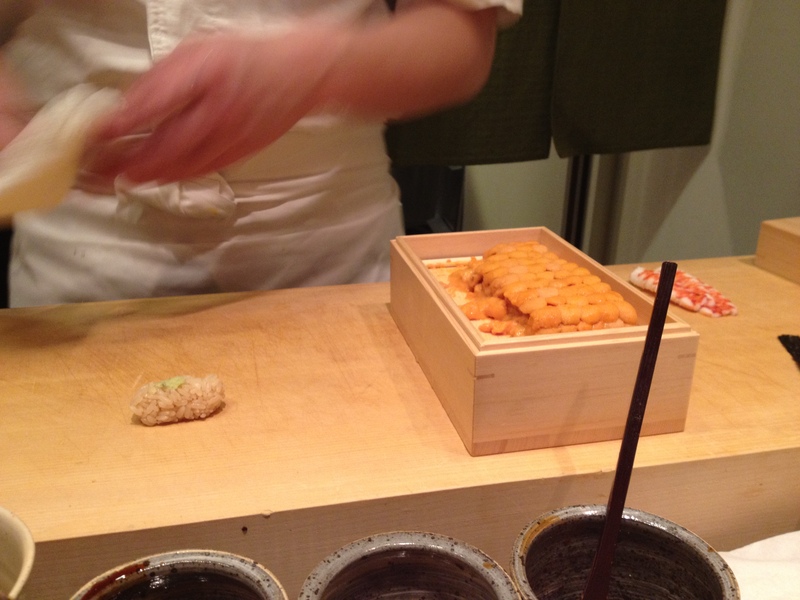 March 13, 2013 Note: This restaurant is now known as Sushi Shikon. 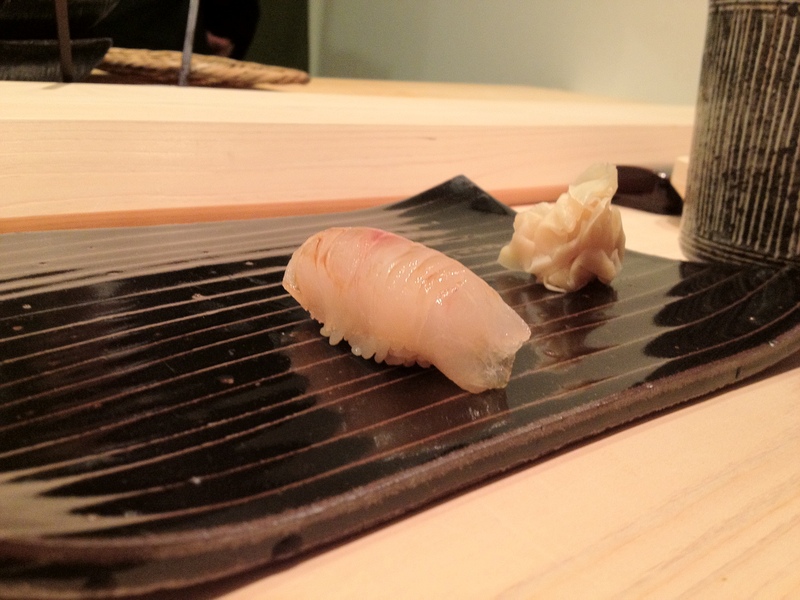 Sushi Yoshitake in Tokyo is really popular among sushi enthusiasts, and it recently received its third Michelin star in the 2012 Guide. Chef Yoshitake decided to open a second restaurant and chose Hong Kong as his destination, so I figured that I’d try it while here on my break! 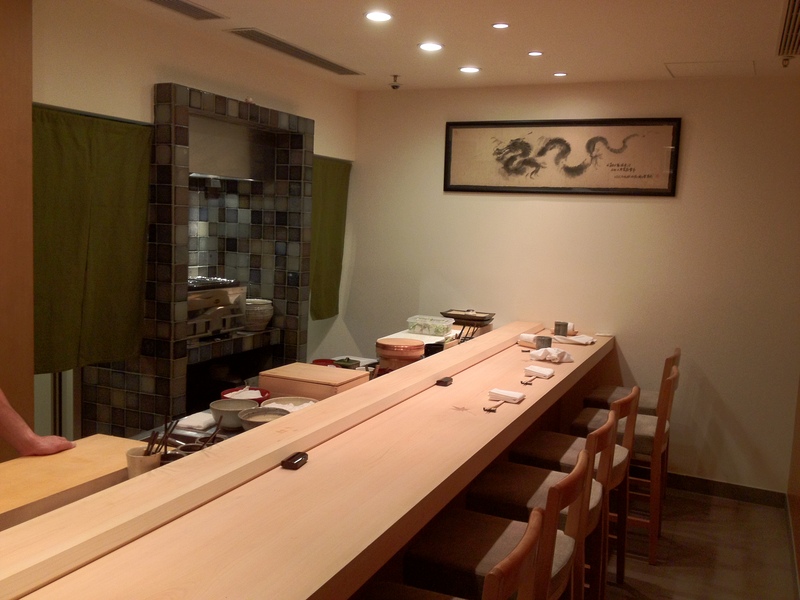 There are a total of eight seats in this restaurant, which consists of one sushi bar. 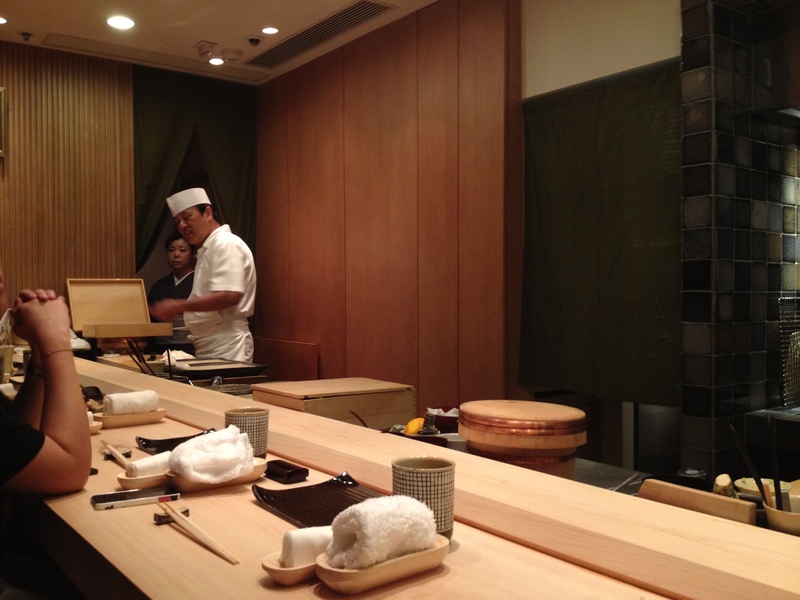 There are two sushi chefs, Chef Yoshitake and his apprentice Chef Kakinuma, and each serves up to four diners at a time. Chef Kakinuma was our sushi chef, and Chef Yoshitake was at the other side of the bar. I should probably add that it was really helpful that Chef Kakinuma spoke fluent English. 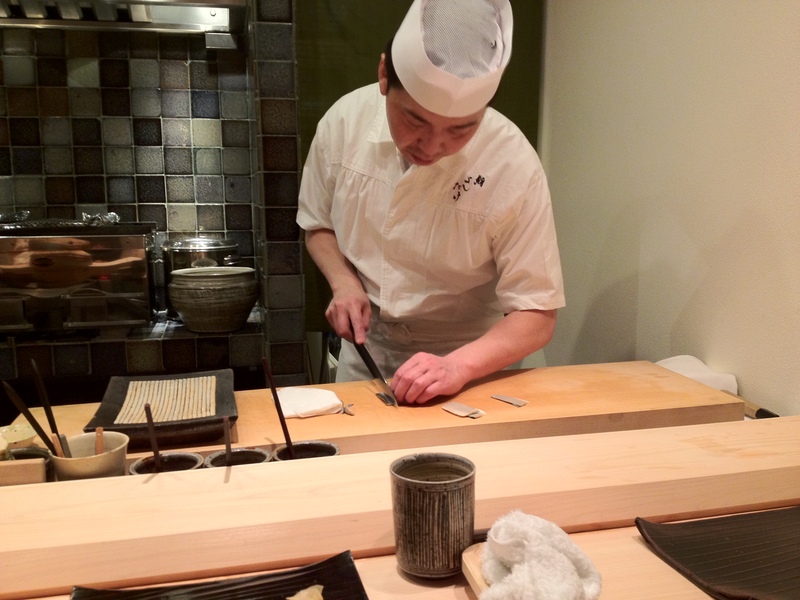 Chef Yoshitake is preparing nigiri here. I realize it’s not the most flattering pic haha :(. There are three possible menus, from the least food and cheapest to the most food and priciest: Rin, Miyabi, and Ho. They ran out of the Ho menu that day, so we had the option of choosing either the Rin or Miyabi menu. We went with the Miyabi menu! The fish was all fresh and from Japan, so I’m going to focus on the rice. 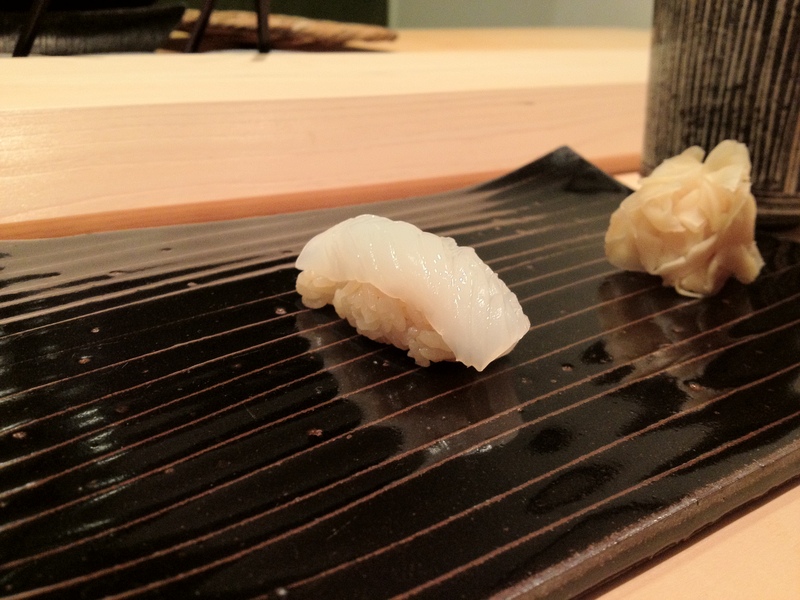 Chef Yoshitake uses red vinegar with the rice, so there’s a light shade of red; it’s kind of like the sushi rice at Wagyu Kaiseki Den, which also uses red vinegar but has a much darker shade of red. -Temperature-wise, I thought the rice was perfect; it was just slightly above room temperature. -The sushi rice was pretty fluffy. It wasn’t EXTREMELY fluffy in that it still had some bite to it, but my friend liked that about the rice! 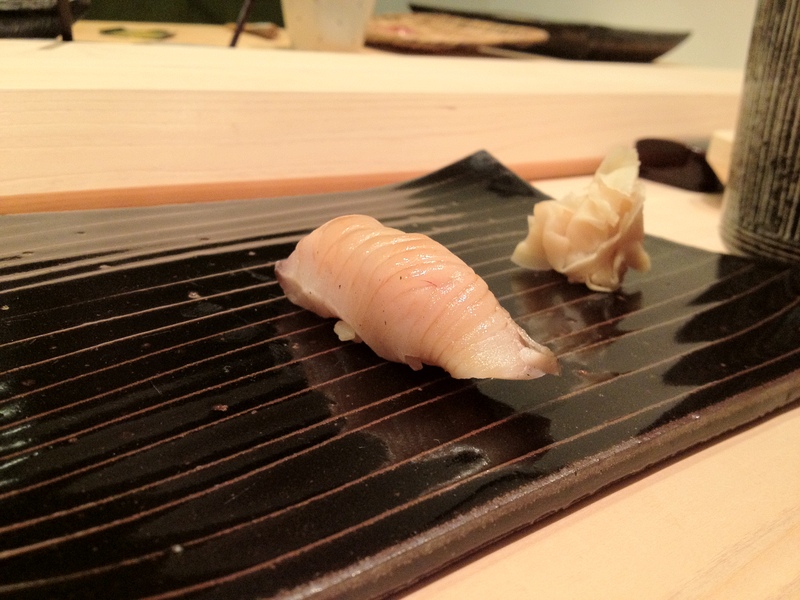 -A small part of the seared ōtoro fell apart while the chef was putting it on my friend’s board. The chef kind of just left it like that, so that was kind of disappointing. It was a really enjoyable meal. I hope I’m lucky enough to be able to go back to try out the “Ho” menu in the future! Koubakogani (female snow crab) with crab egg gelée. Tako (Japanese octopus), slow-cooked with soy and sugar. 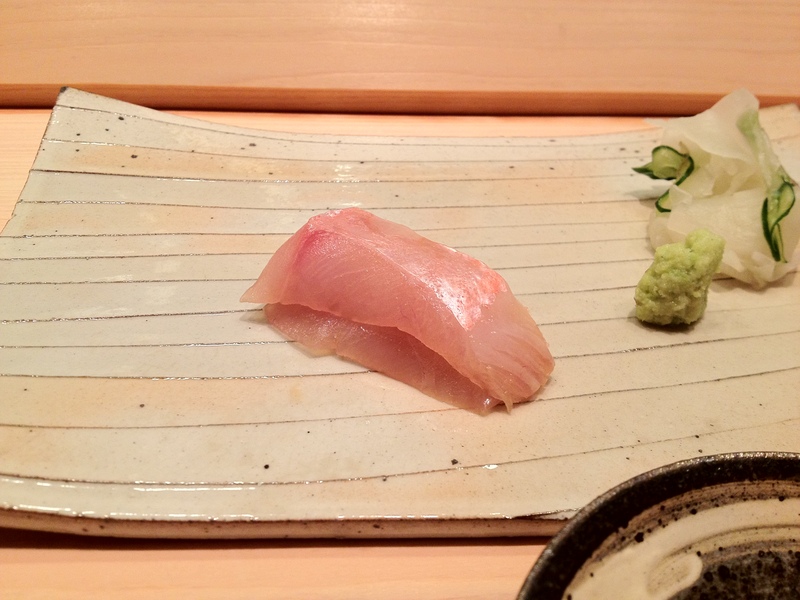 Kinmedai (golden eye snapper) from Shizuoka (I think?) with soy-based sauce made from the snapper’s bone. 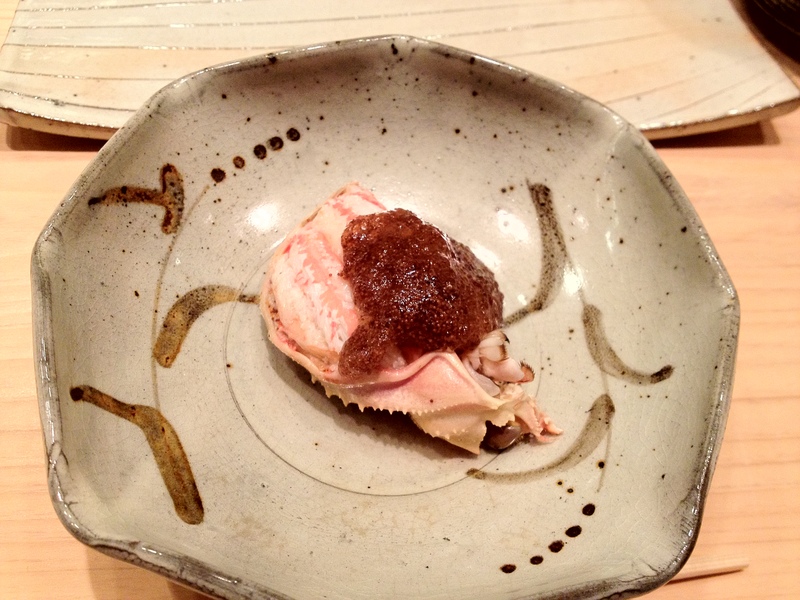 Japanese abalone with sauce made from abalone liver. 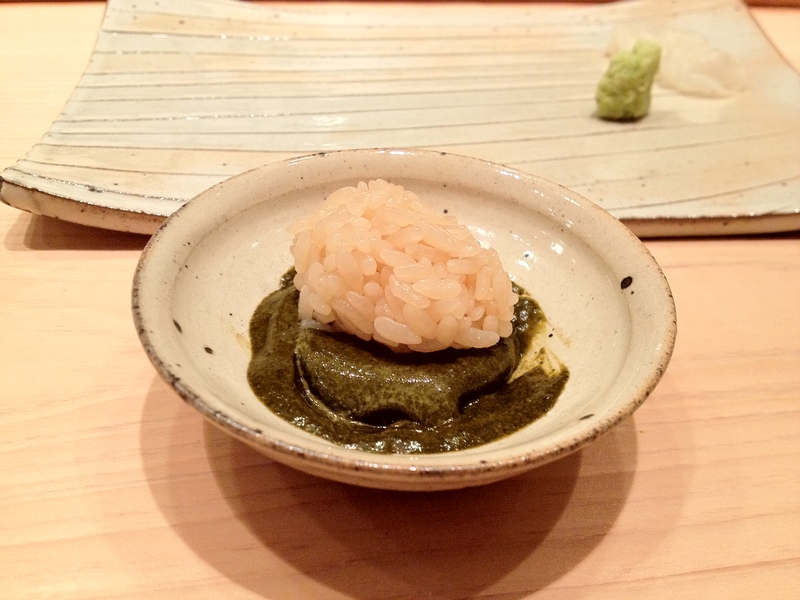 This is one of Chef Yoshitake’s famous dishes. 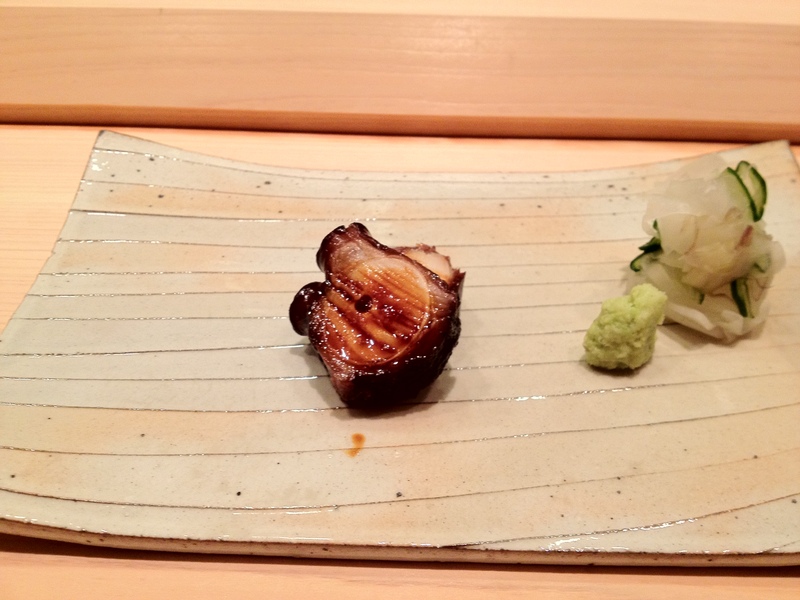 The abalone was already amazing, but the sauce was an extra level above amazing. Transcendent? 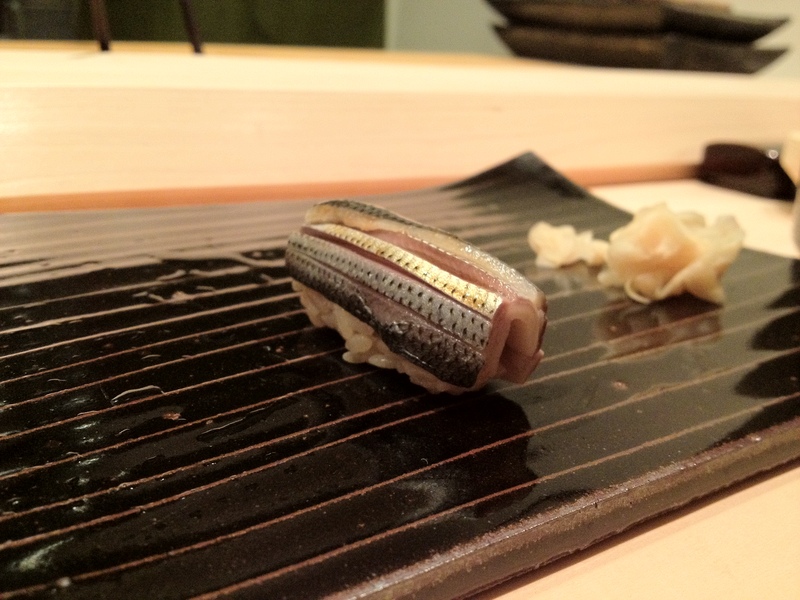 It was intensely flavorful both with the abalone and with the sushi rice! I usually don’t finish sauces completely, but I had to in this case. There simply was no other choice. This was one of my two favorite dishes of the evening. 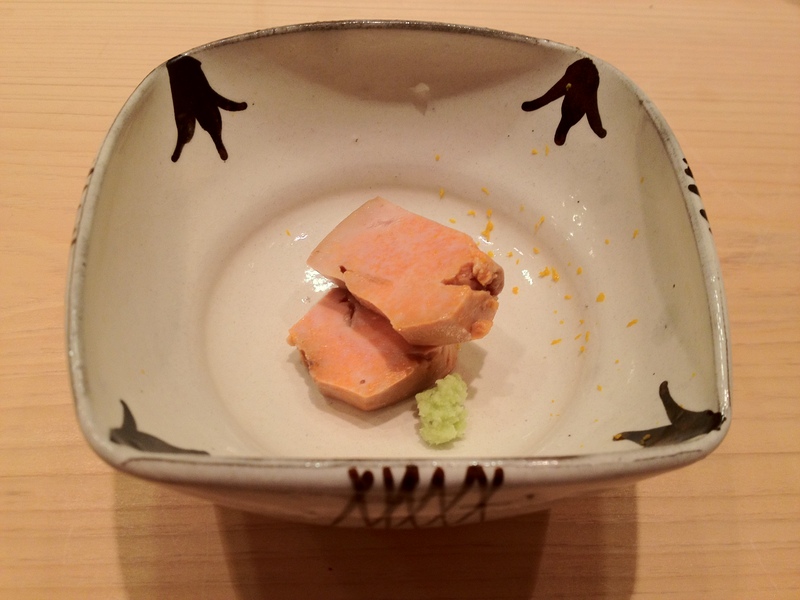 Ankimo (monkfish liver) steamed with red sake. 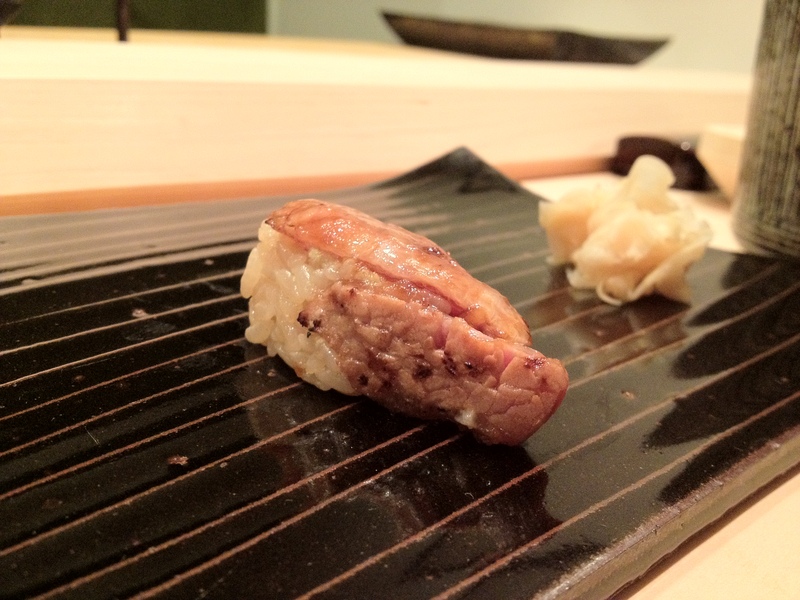 You know how I said I had the best monkfish liver of my life yesterday? This one beats that. It was sweet, creamy, and somehow not excessively rich (which is a good thing!). 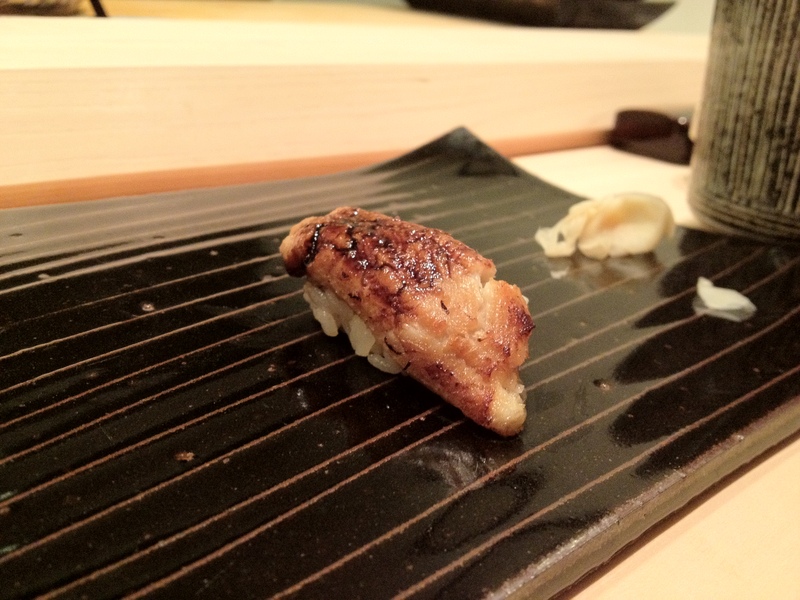 I reiterate my statement that foie is the ankimo of the land. This was the other of my two favorite dishes of this meal! 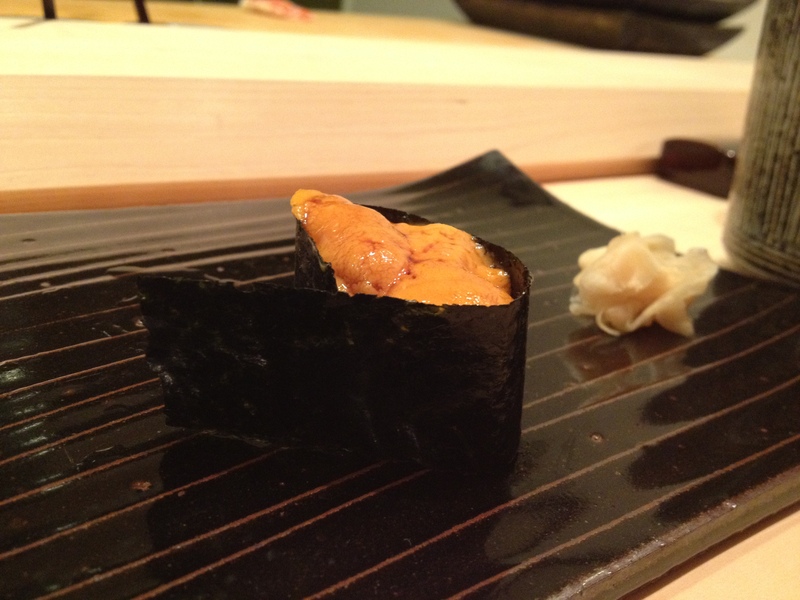 Uni (sea urchin) from Hokkaido. 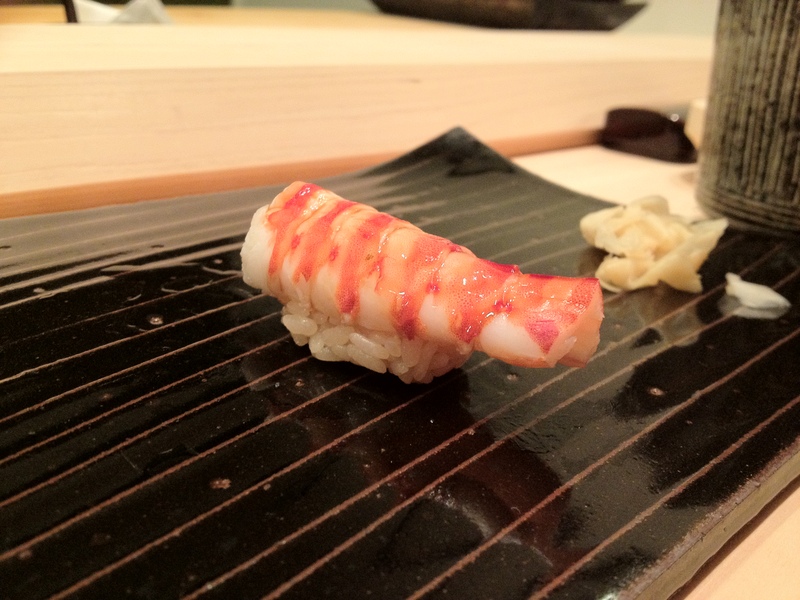 Kurumaebi (Japanese tiger prawn or “car shrimp”). 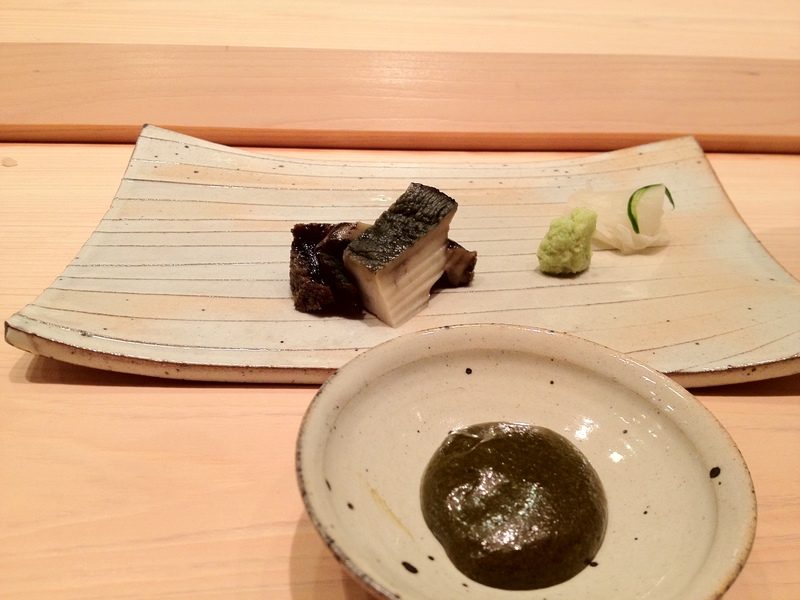 This was probably the best anago that I’ve ever had in my life. It completely melted in my mouth. I think it’ll set the standard for any anago I’ll try in the future (until another beats it, I guess). 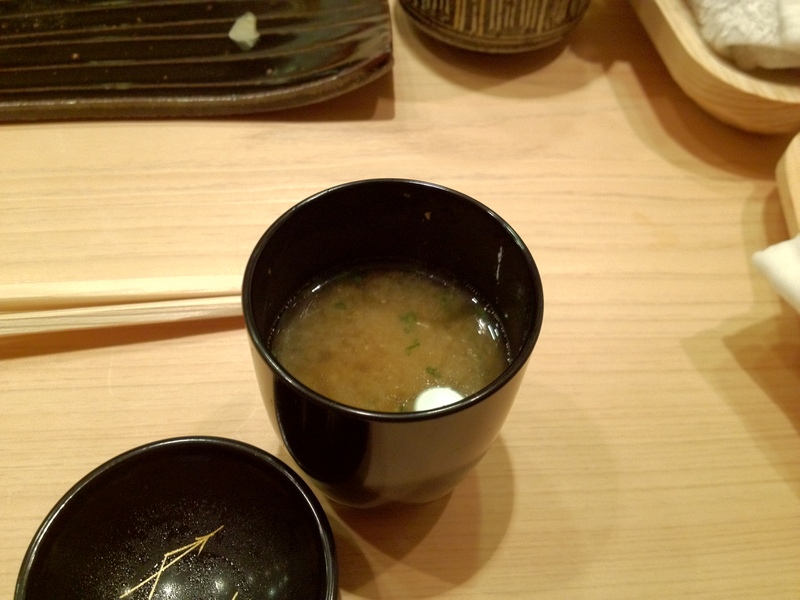 The miso was made using wheat, which apparently makes it taste sweeter and less salty. 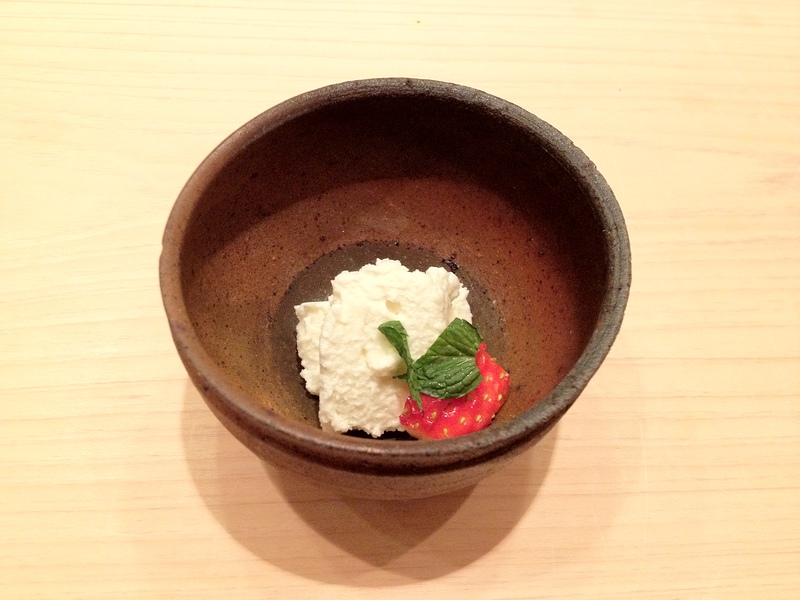 Cream cheese mousse with Japanese strawberry. This was great in concept and excellent in execution. 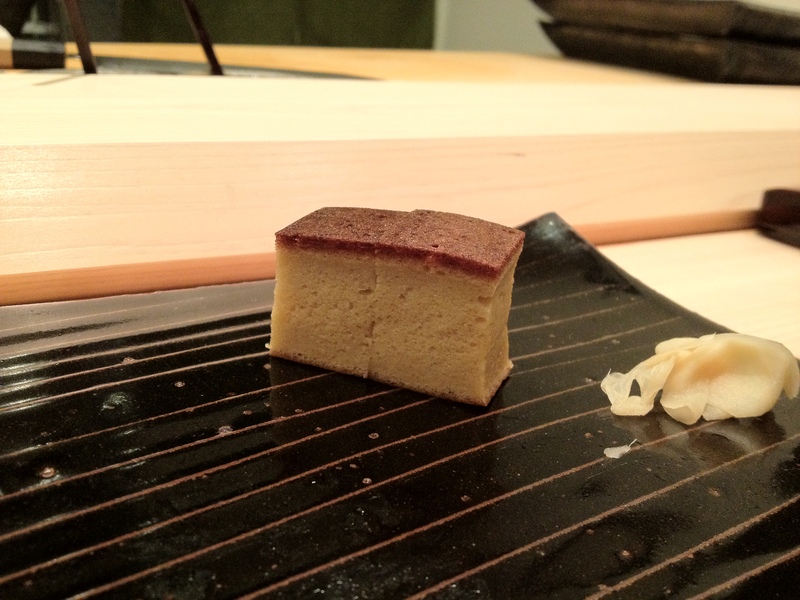 It was light, tasty, and refreshing—just how I like Japanese desserts! We were one of the last diners of the night; I think there were only two to four covers after us. Here’s a picture of the restaurant that I took while I was leaving! 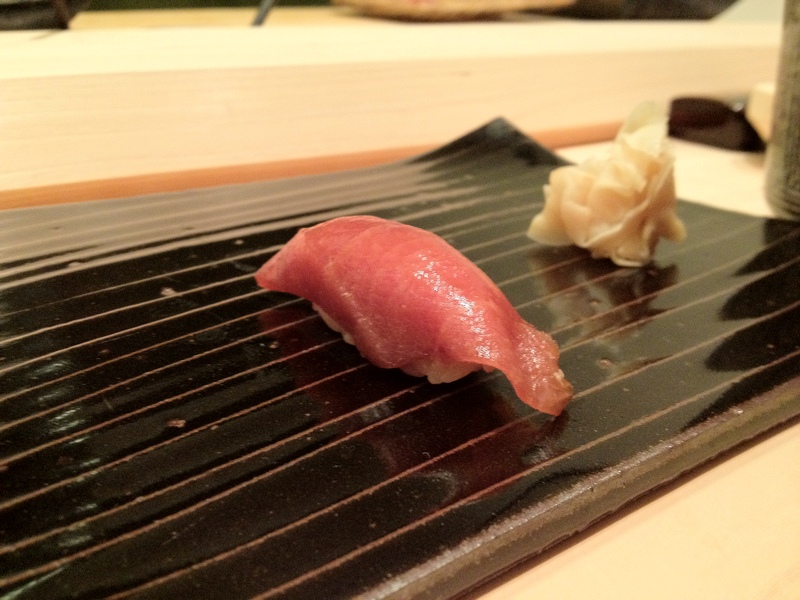 This marks the end of my three-day kaiseki/sushi binge in Hong Kong. I ate (cheap) sushi every day for lunch, and I was lucky enough to be able to try Wagyu Kaiseki Den, RyuGin Hong Kong, and Sushi Yoshitake for dinner on consecutive days! I am luuuuuucky.